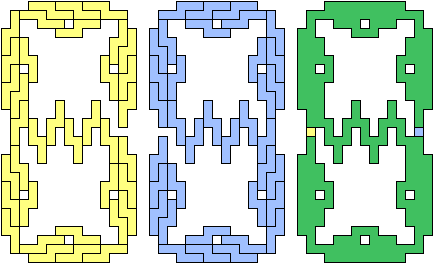 Two figures can be tiled with copies of the same polyomino. The figures differ in only one cell. How near can the unmatched cells lie? Over all such pairs of figures, a minimal vector from one unmatched cell to the other is called a minimal shift vector. 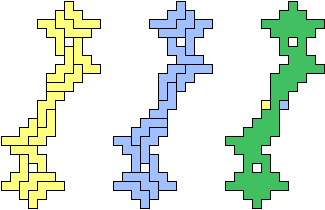 Here I show minimal shift vectors for polyominoes up to order 5. Values in red are unproven. The nontrivial proven values are by Mike Reid, using Tile Homotopy Theory. For heptominoes, see Cell Shifts for Heptominoes.